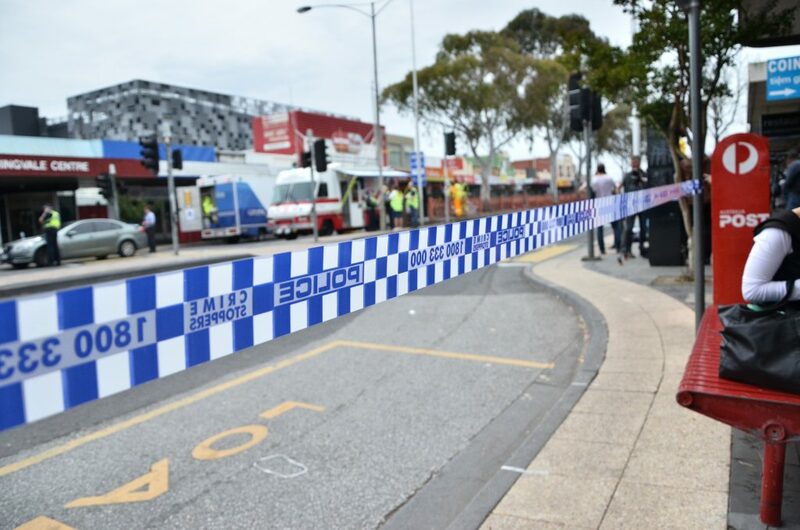 Springvale Road was closed off to traffic following the blast at the Commonwealth Bank. 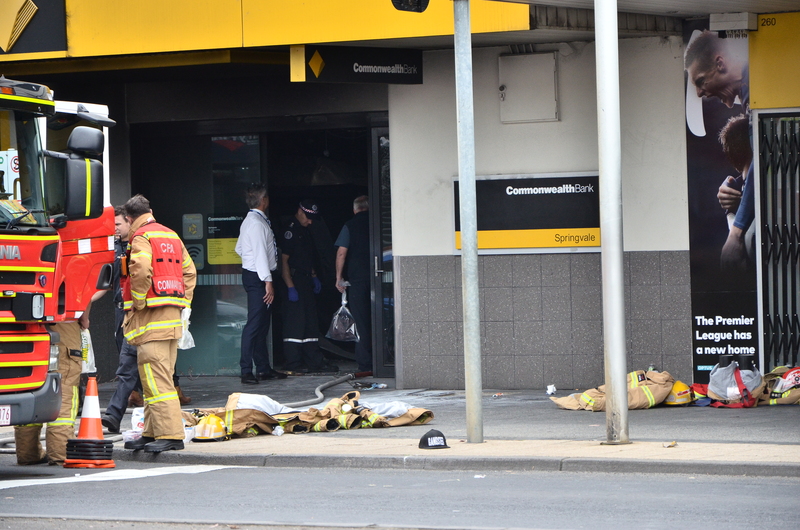 Twenty-six people were injured when a man deliberately caught himself on fire during his attack on Springvale’s Commonwealth Bank on Friday morning. The Springvale Road bank was extensively damaged when the 21-year-old struck. Police had closed off a section of the road into Friday evening. 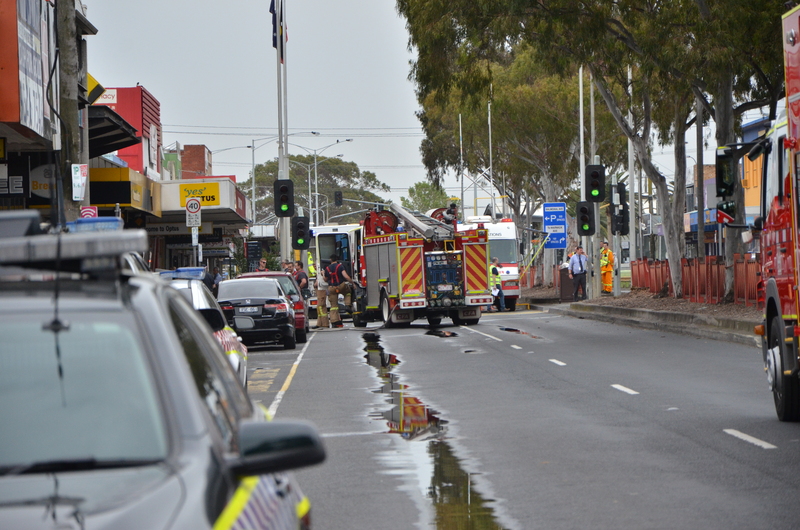 Dandenong Journal reporter VICTORIA STONE-MEADOWS was at the scene and took these photos and video. Emergency services held a press conference at the scene. The section of Springvale Road surrounding the Commonwealth Bank was closed to traffic and pedestrians. Police investigators remove evidence from the interior of the bank. 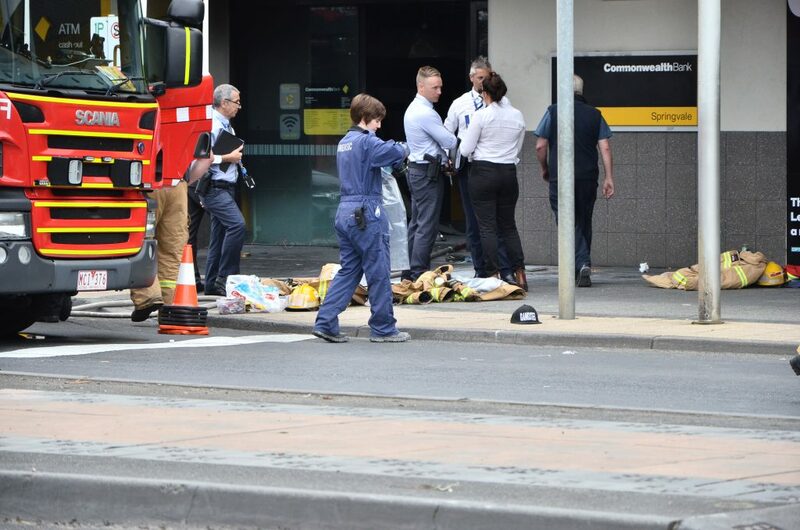 Investigators take evidence and photograph the scene of the Commonwealth Bank explosion. 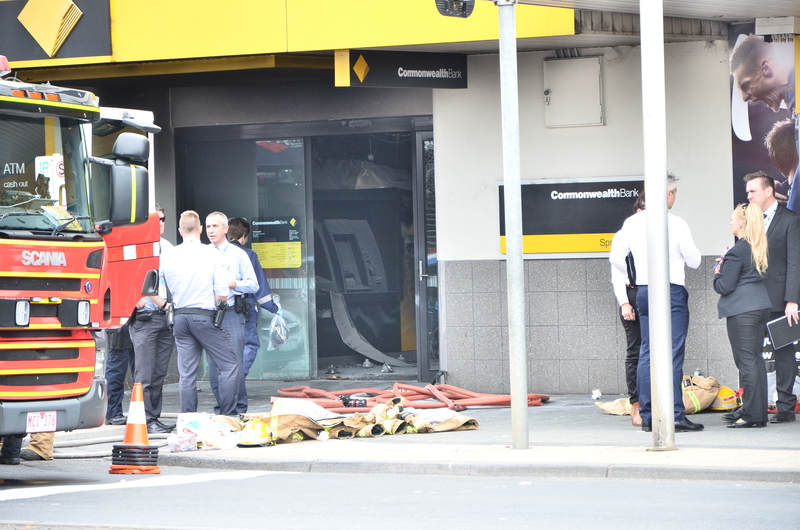 The ATMs in the foyer of the Commonwealth Bank were damaged in the explosion and fire. 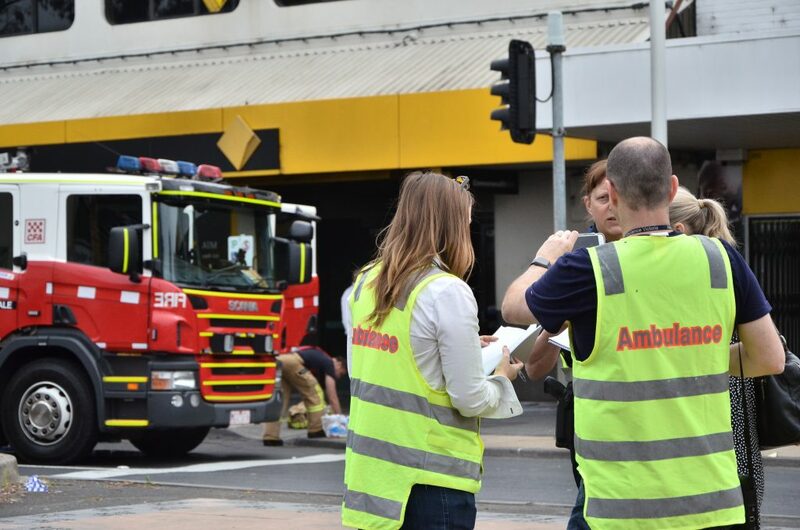 Crews from Ambulance Victoria confer on the severity of those injured by the explosion.